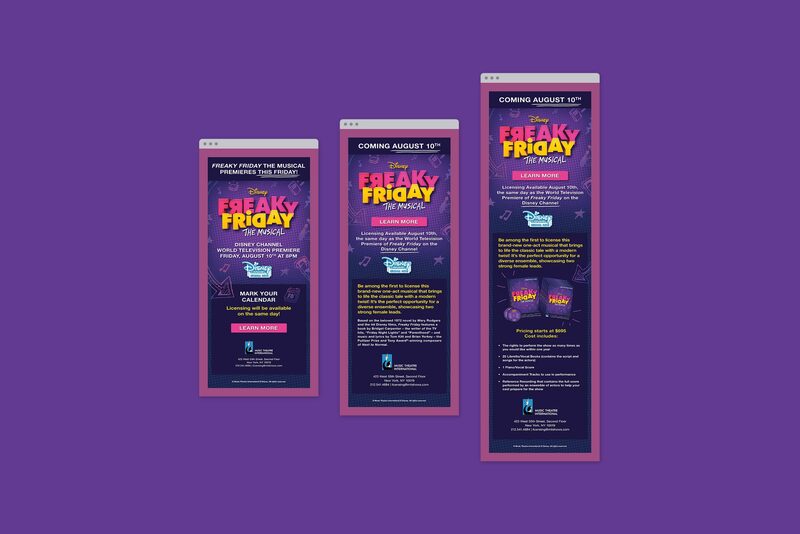 In creative collaboration with the Disney Channel, I was asked by Disney Theatrical Group to develop the key art and marketing assets for the one-act version of Freaky Friday The Musical. 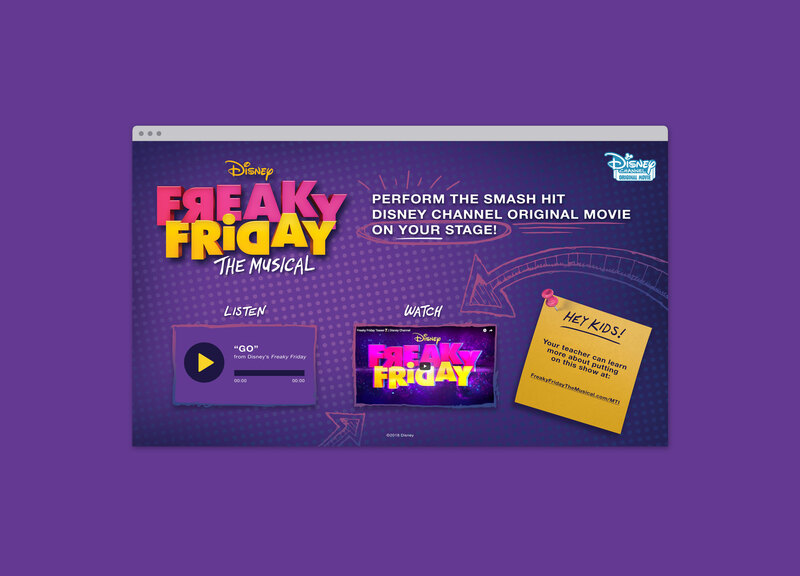 Based on the 2018 Disney Channel Original Movie, the musical adaptation is designed for schools and theatres nationwide for theatrical licensing. 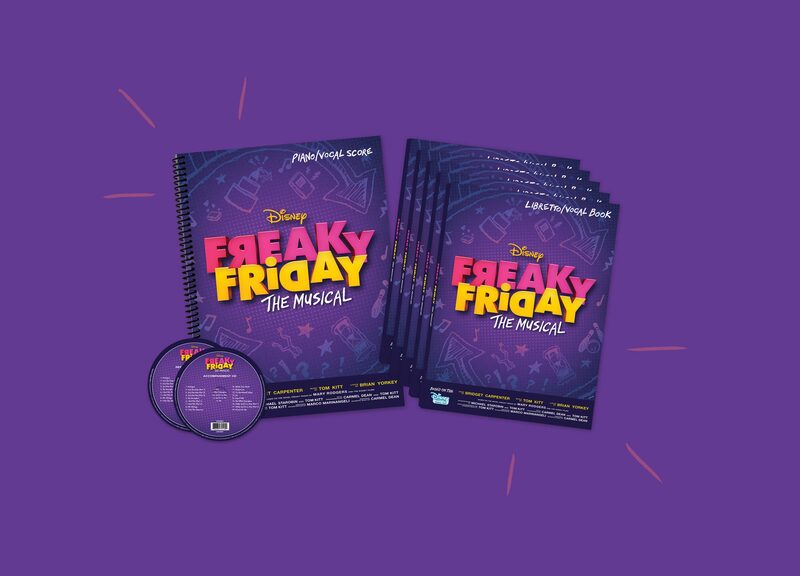 Geared towards a middle and high school audience, the idea for the key art was conceived through research of vibrant school notebooks and trapper keepers. As a way to visually tell the story, several whimsical line art illustrations were applied to depict specific objects and scenes from the movie. 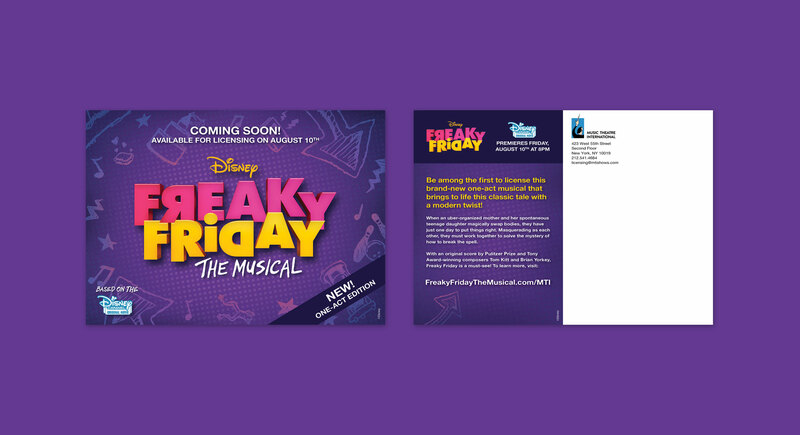 In addition, we worked with the Disney Channel to market the show through "In The Spotlight." 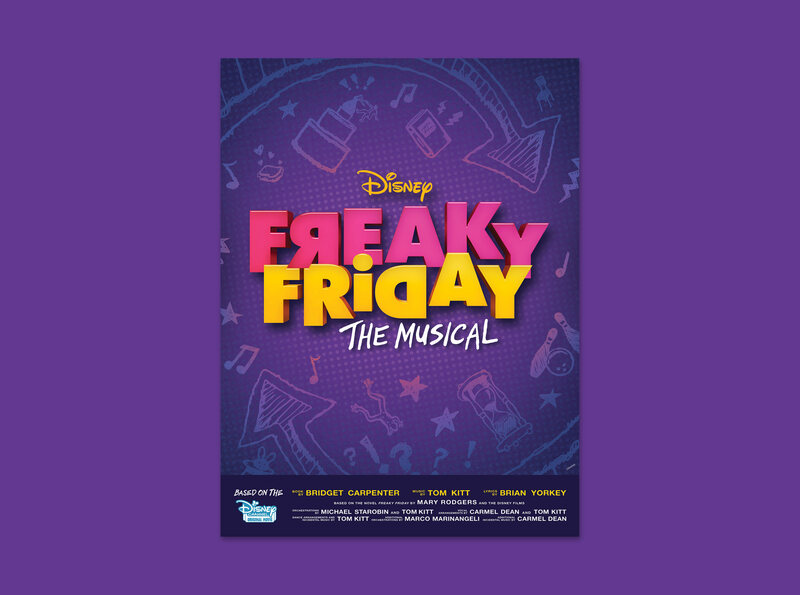 Throughout the three-part series, Freaky Friday star Cozi Zuehlsdorff joined students from Kenosha Unified School District as they took on their very own production of Freaky Friday to the Educational Theatre Association International Thespian Festival.